Smith Buckley Architects specializes in creating distinctive, quality homes for clients in Vermont and throughout the Northeast. The firm provides a high level of care and attention, with aesthetic and technical expertise in both traditional and contemporary designs. From country homes and cottages, to estates and urban dwellings, each project is important to us. We work hard to create thoughtful, elegant designs that are economical, sustainable, and fit your needs. The Snyder Homes story began in 1976, when Bob and Pat Snyder built their first neighborhood, Essex Green, realizing that people were looking for communities in which to enrich their lives. They set the homebuilding bar exceptionally high and have kept it there; in fact, they were named America’s Best Builder in 1996 by Builder Magazine. Snyder Homes continues to be a family-owned and operated business and to date, has built 17 neighborhoods throughout northwestern Vermont. Snyder Homes takes great pride in building neighborhoods that are comprised of quality homes with environmentally-conscious land planning and that are situated in desirable locations, near the conveniences of shopping, dining and cultural attractions. We are Imhotep, a Design + Build company dedicated to enhancing experiences by creating inspired spaces that are at once functional and beautiful. We apply a unique combination of design and carpentry expertise to every project and handle all aspects of the creation process to make your creative vision a reality. 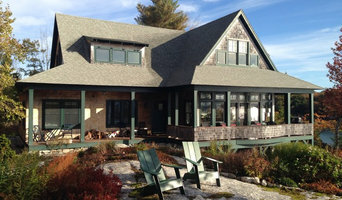 For over 30 years, Vermont native, Chris Smith, has shared his extensive knowledge, skill, and creativity with families and friends throughout the hills of Central Vermont, building contemporary, traditional, and visionary homes that continually raise the bar in quality, craftsmanship, and client satisfaction. 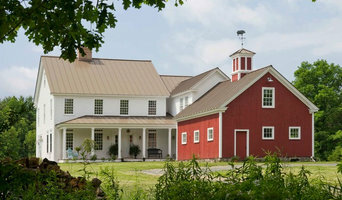 By custom building only a limited number of homes each year, Chris is able to ensure uncompromising quality and an attention to detail that has earned him and his team an unrivaled reputation as a premier custom home builder and renovator here in Central Vermont. Smith Building Company is not only a team of outstanding professionals, but also a community of resources, contractors, and associates that combine to deliver exceptional service. We’re flexible, knowledgeable, experienced, and committed to your project from the ground up. We pride ourselves on our ability to handle every situation with patience and confidence, however unexpected, bringing you experience you can count on. Over the years, we’ve received a variety of gratifying awards for our exclusive work, but the true measure of our success comes from the many satisfied clients and friends who continue to wholeheartedly recommend us. We don’t just build exemplary homes, we build enduring friendships, and we are extremely grateful to build this dream with you. Over the firm’s 35 year history, our office remains a closely knit group of professionals with a passion for quality design and improving the communities, schools, businesses and institutions of Vermont and New England. Our follow-through on the tasks at hand, oversight of a design process that progresses steadily forward, and willingness to perform the tasks necessary to properly complete a job illustrate our dedication. Many of our clients are repeat customers who appreciate the results of our hard work. 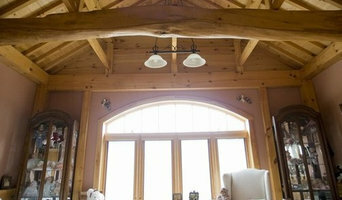 Woodland Woodworks specializes in construction and home improvements. Our business services include, but are not limited to, new construction, additions, bathroom remodeling, kitchen remodeling, cabinets, framing, siding, and windows. Shop services include architectural and reproduction millwork. Other specialties are custom cabinets and resawing services. Shop drawings are available for all projects. We can turn your logs into lumber and your salvaged timber into repurposed wood products with our portable saw mill. We are one of the leading home builders and building design companies in the business, with over three decades of experience in woodworking. We pride ourselves on our professional, consistent and timely work ethic. Superneau Custom Homes, inc. is the areas only “True” custom home builder. Building new homes is all we have ever done. SCH inc. is a hands on company. We have been in business for over 23 years and have 100’s of new custom built homes under our belt. When you talk with me about designs or options you are talking directly to the person who will be working on your home. When you choose SCH inc. to build your new home you're treated more like a friend than a client. We like to get to know you and your family and help you to design a new home around your life style and your family’s needs. SCH inc. specializes in building new homes on one of our many approved and ready to go building sites or on your own building lot. We will even help you find that perfect building lot and be there from the beginning to advise you and help you through the entire process. Over the years SCH inc. has developed 100’s of proven new home designs that can all be used as is or customized in any way to meet your exact needs and tastes. If we don’t already have what you are looking for, we will work with you and design a new home that’s all your own. All SCH inc. new homes are energy efficient and meet or exceed the Vermont Energy standards. SCH inc is recognized as a well respected and innovative leader in the new home construction industry in Franklin and Chittenden counties in Vermont for over 23 years. Our strong commitment to professionalism and superior service before, during and after the sale has earned us a rock solid reputation built on the integrity of our work and the value given to our clients. At SCH inc we are constantly searching for better materials, products and techniques to increase the longevity and efficiency in all of the new home we build. Over the years SCH inc has set the standard others try to follow when it comes to which new quality material or which sub contractor gets used to build your new home. We build your new home using the best workmanship and materials we can find at the most reasonable price. We build your new home the exact same way we would build our own new home. S2 Architecture provides comprehensive architecture, planning, and landscape design services. We believe architecture can have a profound impact on people’s lives. We seek to integrate building program, site, and place in innovative ways to create memorable, inspiring, and graceful spaces. We believe in careful planning, thoughtful decision-making, functional problem-solving, and then seeking the extraordinary. We strive to make buildings that improve their communities and endure. We consider this truly sustainable design. We try to make places that people will love. We measure the value of our work by the lives changed in and around our buildings. Thinking about buying a home? Trying to decide if it's a good fit for your needs? Love the outside of the house, but can the kitchen be fixed, or a ramp added? Happy in your house or condo, but need to look at making it wheelchair accessible? I'm happy to give sensible advice for a reasonable price. Now in April of 2018, I have the capacity to take on design clients. Starting in 2018, I am working at Kish Consulting and Construction in Hanover NH. The team at KCC provides a variety of services centered on rental housing, including construction. Along with my design and permit work on the KCC fleet of buildings, I am happy to take on design clients in the Hanover area, at any price level and architectural style. In addition to the photos shown here, In the past I've worked for Smith & Vansant & Randall T. Mudge Architects, who have work posted on Houzz.